25 incredible Ireland experiences you will enjoy on your next trip to Europe. Roger & I absolutely love Ireland & we can not rave about it enough! We were only there for 4 days, & it was just enough time to see & do some of our top bucket list items while making us crave more! 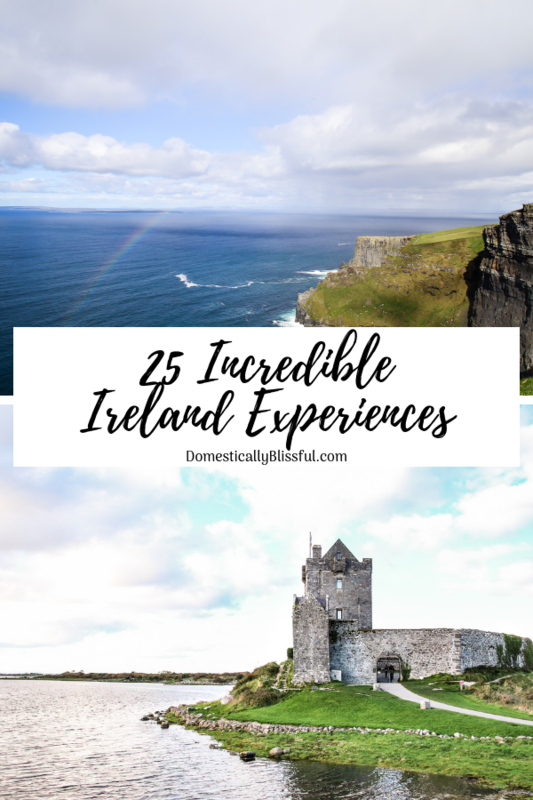 So I decided to make a list of 25 bucket list Ireland experiences that are a collection of things we loved & things still on our to-do list. Because you better believe we plan to return to Ireland. And once you visit you most definitely will want to return too! There are tour buses available, but I highly recommend that you explore Ireland through a road trip. We road tripped from the Dublin airport to Tralee, around the Ring of Kerry, to Doonbeg & the Cliffs of Moher, up to Galway, & then back to Dublin. 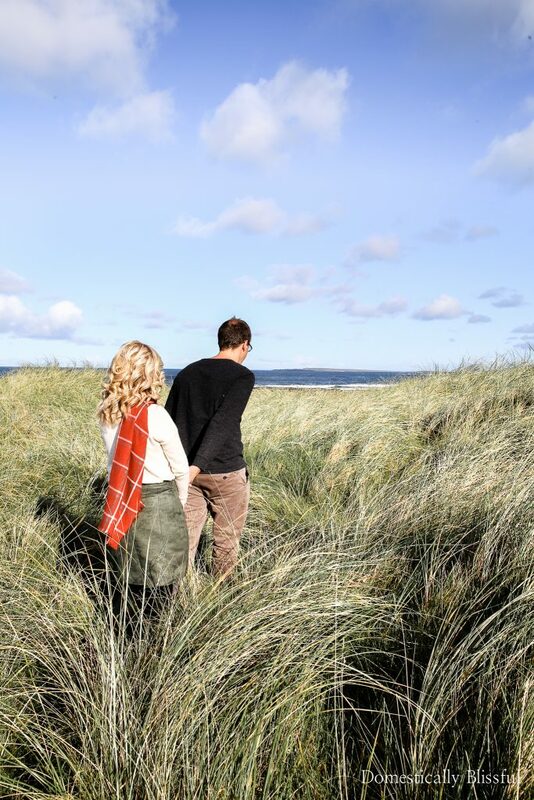 And if you are nervous about renting a car & driving yourself & your family around Ireland I’ve got some tips to help ease your mind as you navigate this beautiful country in this post with 10 Things You Need to Know Before Driving in Ireland. I wish we had spent a whole day here because the whole park is absolutely gorgeous! 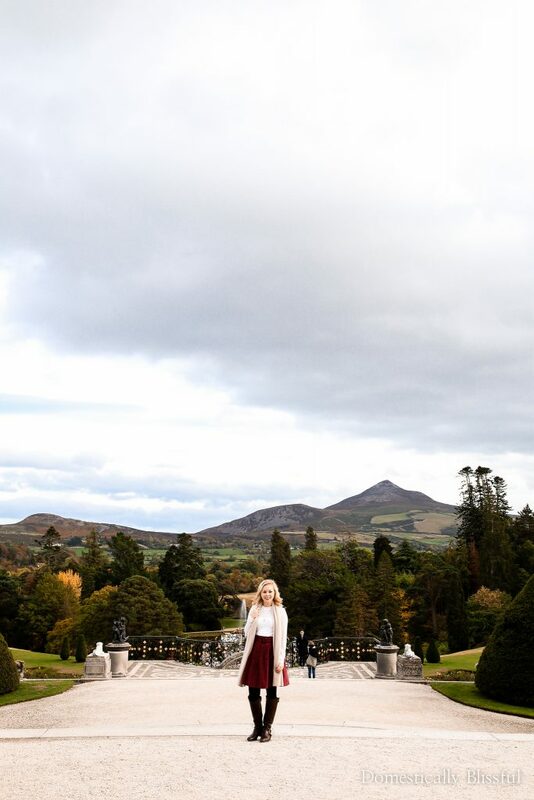 There is so much to explore, paths to wander down, lakes to see, carriage rides, & even a castle. Wandering about a small Irish town is so much fun. I felt perfectly safe & I loved looking at all of the little shops & eating at local restaurants. If you aren’t afraid of heights you could easily spend a whole day walking from one end to the other. Yes, you can just visit the visitor center & the walled off area, but our favorite places were the trails right along the edge of the cliff. Not only will you be able to get some amazing pictures, but you’ll be able to escape from the crowds & enjoy a beautiful nature walk as you’ve never experienced before. 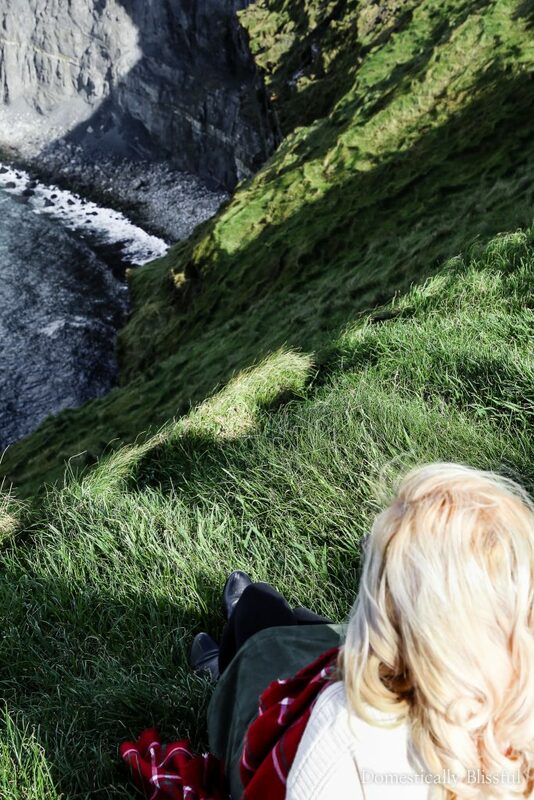 Yes, you can visit the Cliffs of Moher after visiting hours! 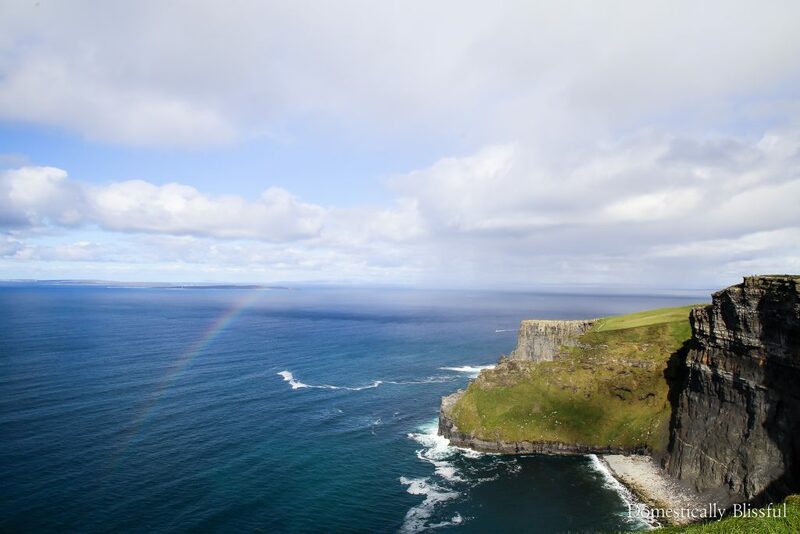 You can read more about the Cliffs of Moher in this post about 10 Tips for Visiting the Cliffs of Moher in Ireland. We drove the Ring of Kerry on the same day as we visited Killarney National Park. 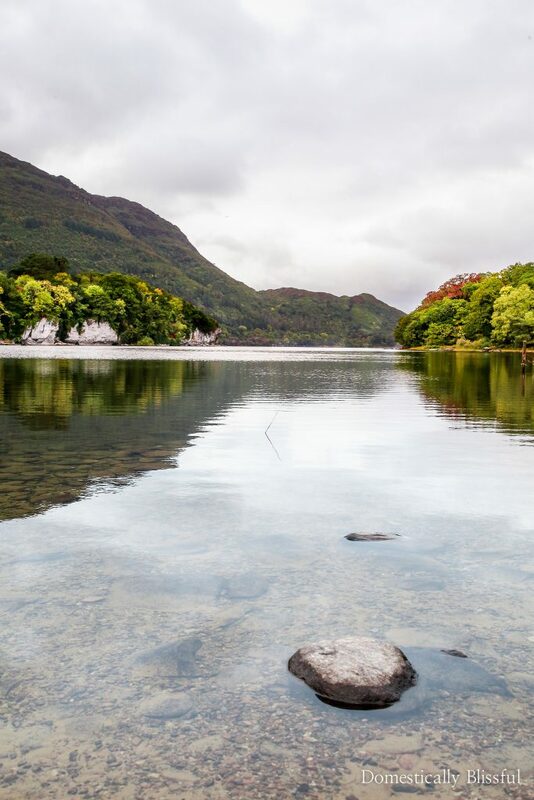 If you only have time to drive the Ring of Kerry or visit Killarney National Park I would personally recommend Killarney Park. I made wonderful memories with Roger driving the Ring of Kerry, but we both agreed that in hindsight we would have enjoyed spending the day exploring Killarney National Park in nature by foot rather than driving around the coast. But that could be our personal preference. 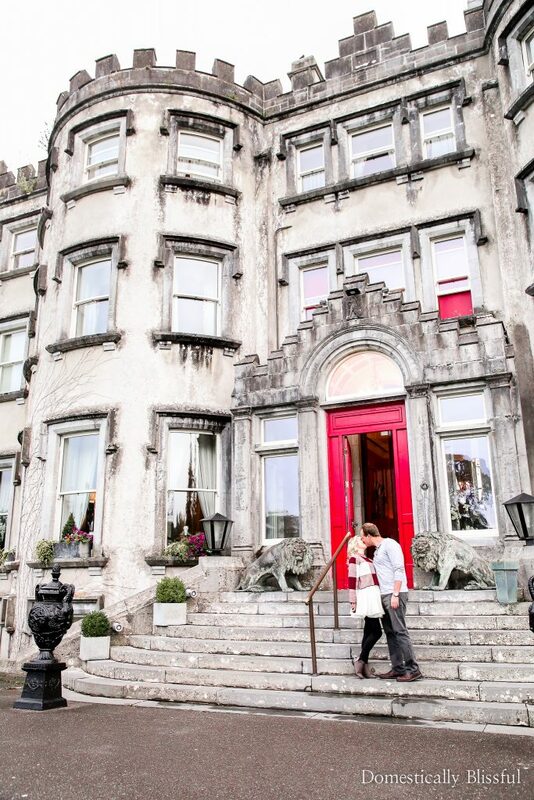 You can’t visit Ireland & not stay in a castle. 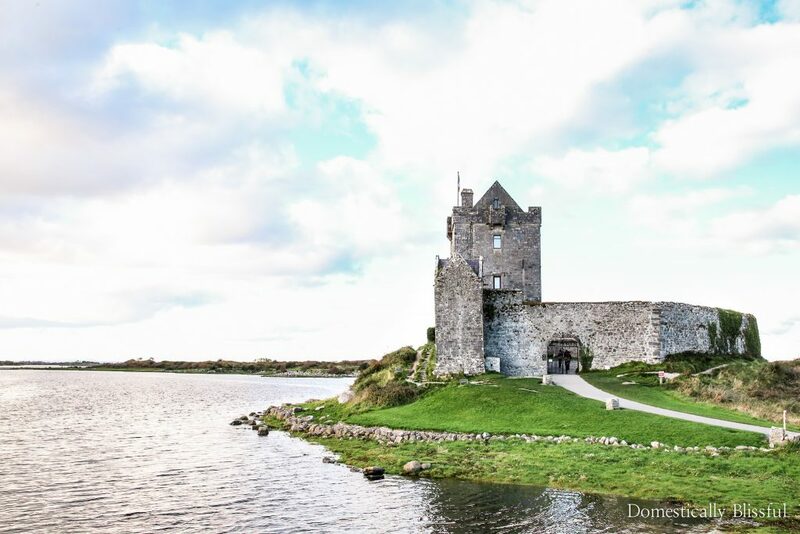 And while there are some really big & expensive castles in Ireland you can most definitely find reasonably priced castles that are absolutely gorgeous & full of romance. We stayed at one our first night in Ireland & the whole experience felt wonderfully surreal. 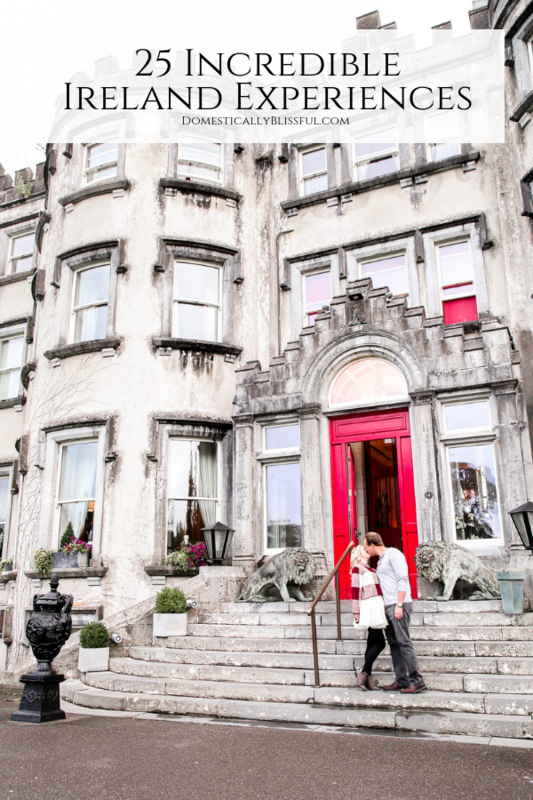 You can read about the places we stayed at in this post about Beautiful East Coast Ireland Hotels. We visited quite a few castles while we were in Ireland. Some are small & only took us about 10 minutes while others are much larger & you can even take a paid tour to explore deeper into the castle. 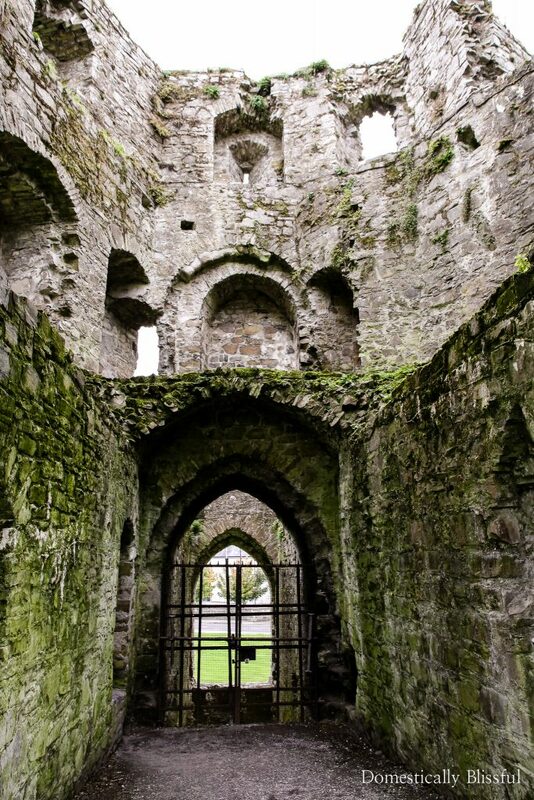 How can you take a trip to Ireland & not take a peek inside a castle? 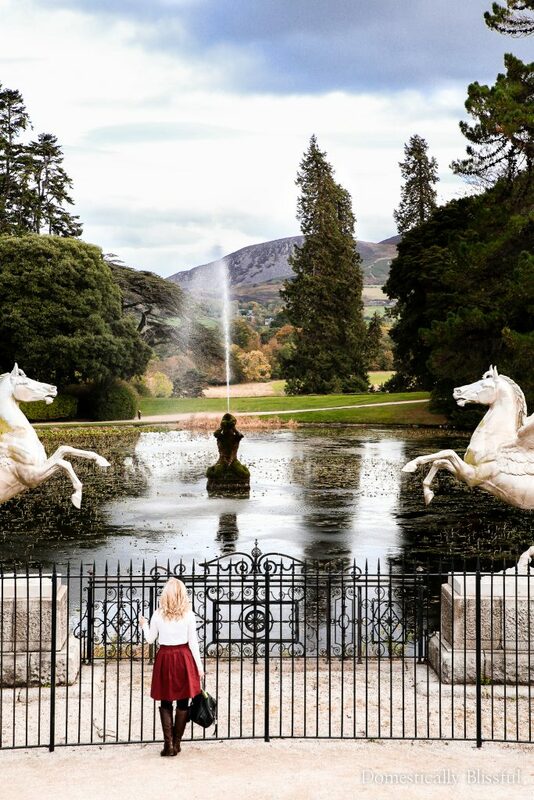 The Powerscourt Estate House & Gardens is National Geographics number 3 pick for the World’s Top Ten Gardens. 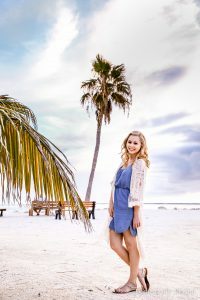 We had a few options picked for our last day, depending on how long it took us to drive back across the country, & we ended our trip strolling through their gorgeous gardens. I have a special love for trees & it was so fun to see their collection of trees from around the world throughout their park. As we were wandering around listening to the audio tour we learned that this was a hobby that people use to have, collecting trees & creating gardens of plants from around the world. And Roger agreed that we can do this in our own backyard! You can’t walk far into Galway without hearing music coming from one direction or another. Roger & I split a scoop of ice cream & wandered about the city at night while listening to all of the music from local artists. There is so much to see & do in Dublin. If you are a foodie then you will love all of the options you can find & taste in Dublin! The Wild Atlantic Way is basically the main road on the west coast of Ireland. And the views while you drive are ever changing & gorgeous! You’ll definitely want to be driving your own car so that you can stop whenever you want to stretch your legs & take in the gorgeous views. 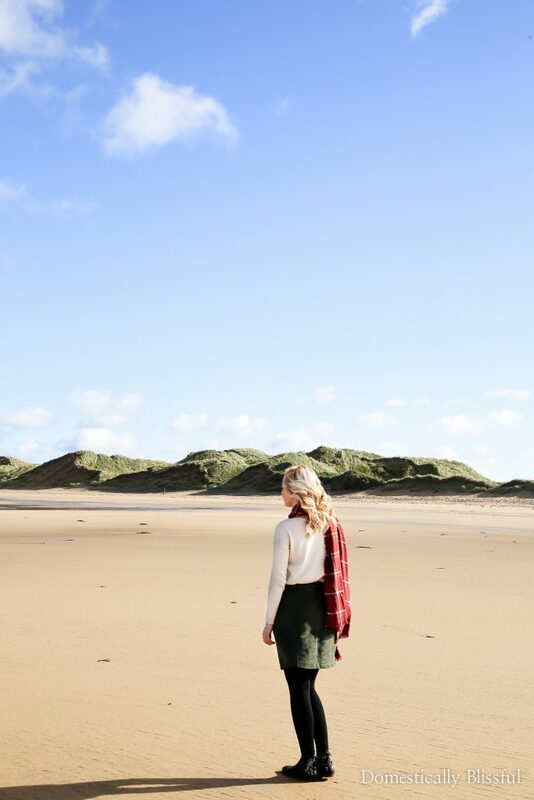 Our hotel in Doonbeg was right on the beach & we had the most beautiful breakfast view over the golf course & ocean. After breakfast, we took a walk on the lush green dunes & on the sandy beach. This may sound silly, but after our tour of Trim Castle on Sunday we went for a walk through the field behind the ruins, that ran adjacent to a greenway for locals, & it was absolutely magical! I couldn’t help but frolic through the field of little wildflowers in pure joy! Before our trip, I ordered this travel Titanium Tripod & this Wireless Timer Remote so that we could take pictures any time of the two of us. We took pictures together at the castle we stayed in our first night, on the Cliffs of Moher in the evening, & in random places along the road with gorgeous views. Definitely a purchase I will never regret! We didn’t get a chance to visit Trinity College Library on our trip, but the next time we go we definitely want to make a stop to see the Book of Kells. The Book of Kells is an illuminated manuscript containing the four Gospels of the New Testament in Latin. Plus the architecture looks absolutely dreamy! We didn’t drive south enough to visit Blarney Castle, but hopefully next time we will get to give a kiss & receive the gift of gab at Blarney Castle. The Rock of Cashel was also not on our path during our last trip, but this gorgeous castle is on my list of must-see castles the next time we visit Ireland. We drove right past the Doolan Cave but didn’t get a chance to go in & see the largest stalactite in Ireland. If it’s a rainy day & you are looking for something fun to do you may want to add this one to your list! I’m not big into biking (outside of at the gym), but biking the old railway in Westport is definitely on my bucket list. This was more north than we had planned to go on our last trip, but if we ever make it to the northern side of Ireland we will definitely be taking a day break from driving to bike this trail! If you love watersports, kayaking in county cork needs to be on your to-do list. You can find both day time trips & even night time kayaking excursions. 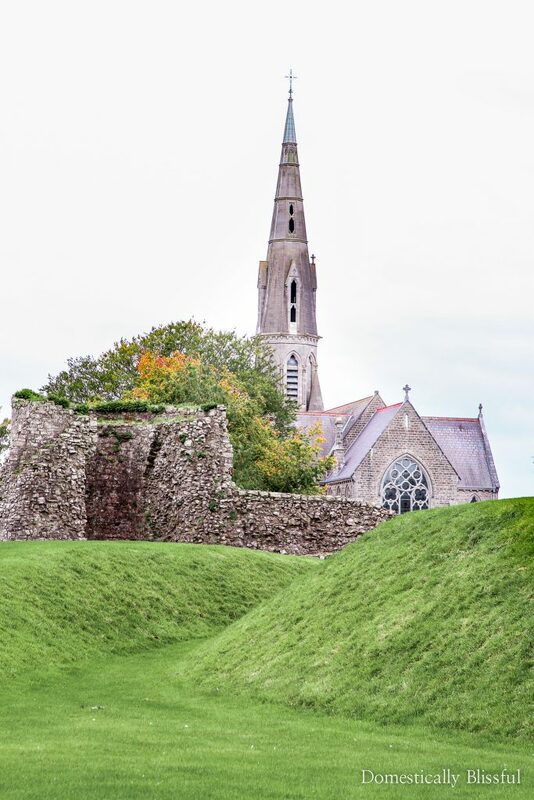 This is one of Ireland’s most iconic archaeological monuments & dates back to between 4200 BC & 2900 BC. After the Cliffs of Moher, this portal tomb is the second most visited location in the Burren. 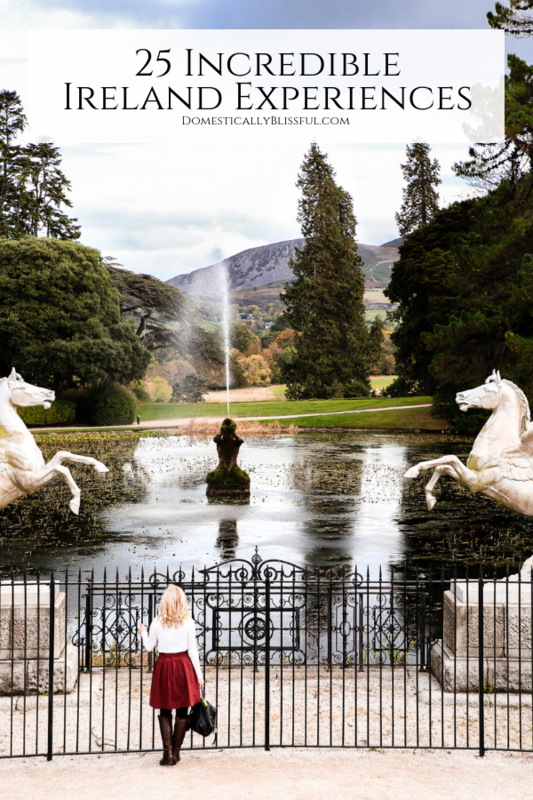 We had to decide if we wanted to take a detour to see this or go on to Powerscourt & I must admit that I am personally happy we chose to drive on to the Powerscourt Estate. But if you are interested in the Neolithic period you will want to check this place out! Since we were only in Ireland for 4 days we had to choose between the Ring of Kerry & the Dingle Penninsula. But next time I definitely want to visit the Dingle Peninsula & gaze at its gorgeous views! The tallest waterfall in Ireland is actually in Powerscourt & even though we made it to the Powerscourt Estate we didn’t have enough time to visit the waterfall. So you better believe it is on our list for next time! If we had been able to extend our stay just one more day we would have traveled down to the Wicklow Mountain National Park to spend the day driving the small windy roads & hiking the trails. If you are an experienced hiker you will want to check out their trails! This little island off of Ireland is one of our top bucket list items when we return to this beautiful country. We weren’t able to make it during our last trip because they had just finished the boating tourism season literally 2 days before we arrived. We could even see the island from shore. For those of you who love Star Wars, you will have a fun time exploring this island! Now, this is technically in Northern Ireland (a completely different country from Ireland), but I thought it deserved an honorable mention because it is an amazing display of nature. I have a lot more blog posts on Ireland! Click here to read all of my tips & advice posts on Ireland. Do you have favorite Ireland experiences?